The Romans were well know for their barbaric ways. Animals were often sacrificed at weddings and pagan rituals. But it was for their fellow humans that they reserved their most extreme cruelty. They kept, bought and sold slaves. There is a mistaken belief in the world today that all slaves were black. This is probably due to the American slaves in the Southern states being of African or Caribbean origin and most modern people's knowledge of slavery really only extending to a period since the 19th century to the present day. Slavery is still practised today and even countries generally thought of as being civilized, have slavery in certain parts of the country. In the emerging third world countries, it is those wielding influence that ensure slavery still exists. 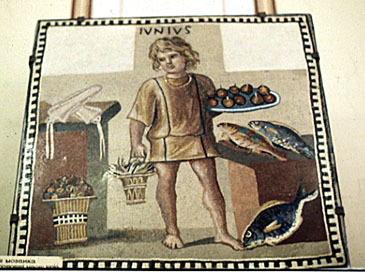 Most slaves in Roman times were male and light skinned. Males were chosen since they had to do the most back breaking work for long hours every day of their working lives. Female slaves were known, but they were kept more to do work in the kitchens of large estates. It was also known that many masters kept slaves for their own gratification and enjoyment. Even though they could well have been married at the time. many Romans would make a mockery of slaves by having such items as drinking tankards made to resemble a slave astride a pot going about his business. There were many ways in which a man could become a slave. Some were made slaves purely because they was born in the wrong place at the wrong time. Some became slaves through an act of crime and some because the alternatives were worse than a life of slavery. Sometimes a parent might sell one of their children to satisfy a debt... no matter "how" it happened, it sucked. In the countries the Romans conquered, there were many different classes of society. There were the rulers, the upper classes, the middle classes, the workers and those who did not even have a home and lived rough. 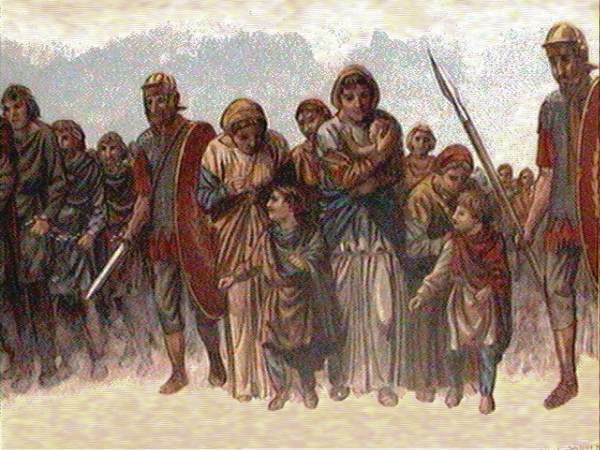 As the Romans moved through a country, they collected people who did not have any social standing and prisoners of war and passed them over to a slave trader. The trader would then move them to another part of the country or export them to a slave trader in another country. It largely depended on where the best price could be obtained at that time. Slaves were selected mainly by physical appearance since they were going to be used for heavy manual labour. The stronger and fitter would fetch a higher price, so there was great competition amongst the traders for the better specimens. Slaves were people and as such they naturally reproduced. The offspring of these were looked after in the slave communes by those who had become too old to be useful for manual labour and earned their keep by using skills they had gained during their lives. He may have carved items from antlers and sold them to buy food for himself and the other slaves. He would also bring up the babies until they were of a suitable age for their life as a slave. Notice I say 'he'. You will see why there are so few female slaves later. In Roman society many crimes we know of today were regarded as civil offences. For example, stealing property from another person was not a criminal offence, but a civil one. It was down to the victim to bring a private prosecution against the alleged perpetrator. If found guilty, the criminal could receive many different type of punishment. An order to repay the value of the goods taken was one option. Sentenced to serve a period of service to the winner of the case was another. In extreme cases the criminal was sentenced to a life of slavery, usually to the person who brought the case. The amphitheatre was a place of extreme entertainment involving a variety of blood sports. It was the place where gladiators would fight to the death for the pleasure of the spectators. Those who became slaves were often given the chance of a life in which their lives would be better, but considerably shorter. Life in the arena was hard and usually short. 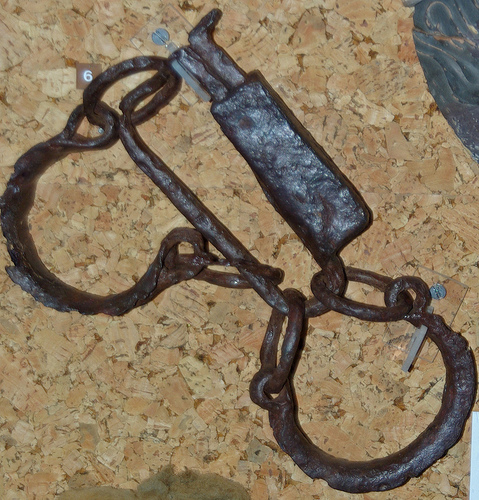 Some slaves were sent to special schools to learn to be gladiators. From this, they had a path forward to either death or fame and riches and, possibly, freedom at the end. As mentioned earlier, slaves were men because of the hard graft that they had to endure day in, day out. But what of those who were too weak to be slaves, the women and any female babies born to slaves? The answer is simple. They were killed. The Romans believed everyone in society, no matter what their status -- be it an emperor or a slave, everyone had to have a purpose. Female babies born of slaves would be killed within minutes of being born by their masters. The methods used were brutal and horrific. If the master received news that a baby had been born of a slave he would investigate. Sometimes the baby would be born while the master was away on business so his wife would attend to the process. If it was discovered the baby was a boy, he was allowed to grow to manhood and become a slave himself. A baby girl was considered to be no use as a slave and was killed instantly. The methods of death were inhuman and ruthless. If the master's wife attended the birth and decided the baby must die, she could break the baby's neck with her bare hands, smash the skull with a blunt instrument, or throw the baby against a wall. It was then the mother's responsibility to dispose of the body. This may be sickening, but it happened. 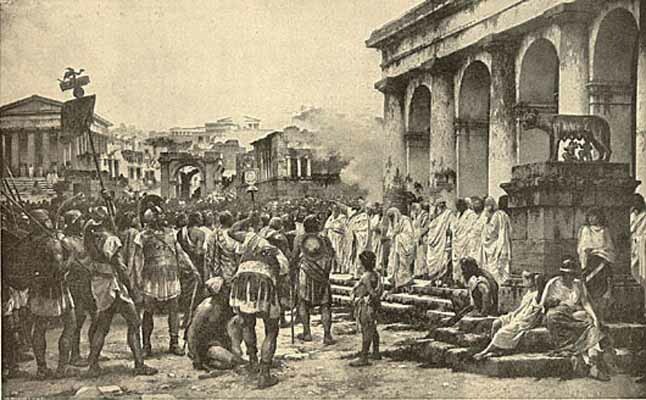 Not having Roman citizenship, slaves were not generally regarded as people They were possessions, so they didn't have feelings, according to the Romans. Having said this, we will see later how some slaves managed to win their freedom and attain their citizenship. Sl aves were kept in places resembling dungeons. Unheated sheds that had little light and were grossly overcrowded were their homes. The Roman writer Columella said that slaves should have their quarters underground and there would be no need to supply lighting an minimal heating. So long as the slaves were kept in a healthy state so that they could carry out their labours effectively, that is all they should receive. They were fed on scraps of meat, bread and water. No wine or cooked meals for them. Slaves were meant to be kept as cheaply as possible. They arose at sunrise. If they were shackled, their chains were removed and they were taken to their allotted place of work. The most common places were on the farm or down the mines. The threat of slave revolt was ever present, so when they were not working they spent their lives in some dingy, cold shed, stone walled building, or an underground cellar. If a master took a liking to a slave, he may have given him certain privileges. Some slaves became servants and were allowed to live in the quarters by the kitchen. He would also be clothed, fed and have a place to sleep that was far more comfortable that his previous arrangement. Even so, while he was under his owner's control, he was a possession. His master could still do as he wished, which even meant killing him if he gave his master any reason to do so. In certain cases someone who had managed to influence his master to a high degree would have been given his freedom. He was no longer a slave and was able to take his place in Roman society. 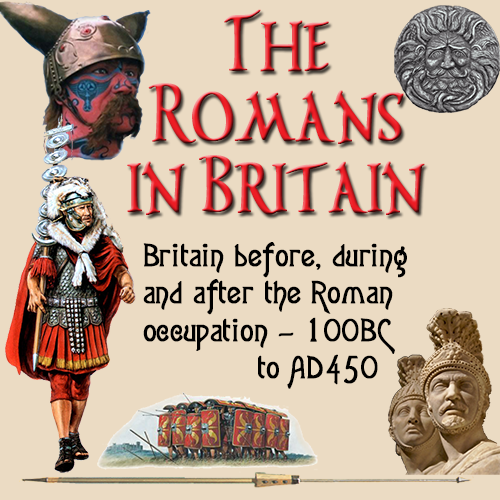 Eventually he would be granted Roman citizenship which meant he was allowed to have his own home, to work in a recognised trade and to run for office. 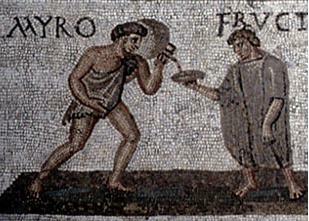 Many slaves did in fact do this and became very powerful in the Roman Empire.